The reason I don't like extreme sports is simple: The guys who are participate are douche bags. Some might say my extreme-sports judgment is a stereotype, but I don't think so. If I have to qualify my statement, I will say this, "Many guys who participate in extreme sports either look like douche bags or act like douche bags." With that said, I have finally stumbled upon a cool extreme sport - extreme ironing. Part of the reason I like extreme ironing is because I try to avoid regular ironing. To me, ironing is similar to smoking. It's outdated and unnecessary to be cool. 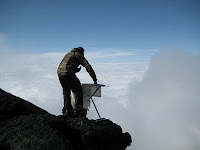 Extreme ironing takes the presser to difficult locations to iron. For me, I one day envision ironing as a waterfall pelts my head. 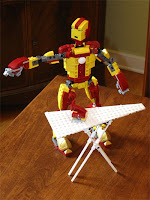 Though extreme ironing appears a bit goofy, it does bring up major ironing issues. As a sophisticated gentleman, I must wear ironed shirts every so often. However, I avoid shirts that must be ironed as my everyday clothes. I also prefer cotton blends that don't wrinkle too much. 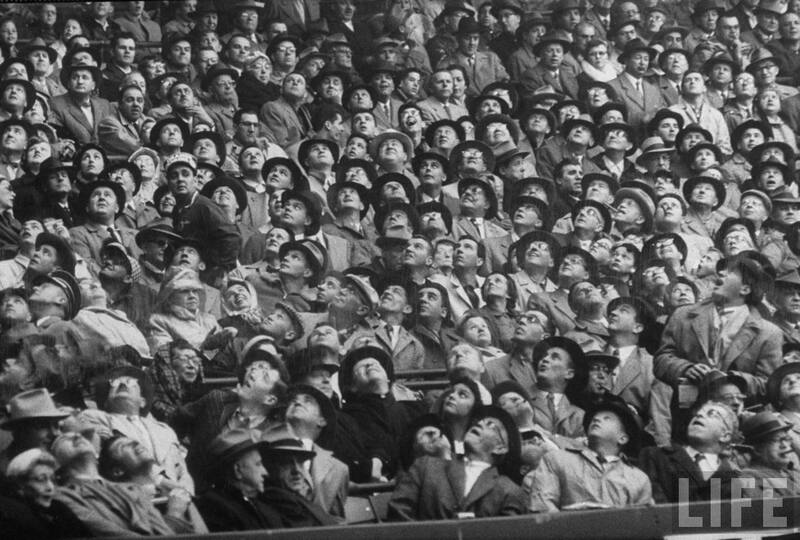 I remember seeing photos from the 1950s with all the fans dressed formally. Those days are long gone, and while I do like well-dressed folks, I always feel like "what the heck am I doing?" when I find myself ironing. I don't think I would have that feeling under a waterfall.